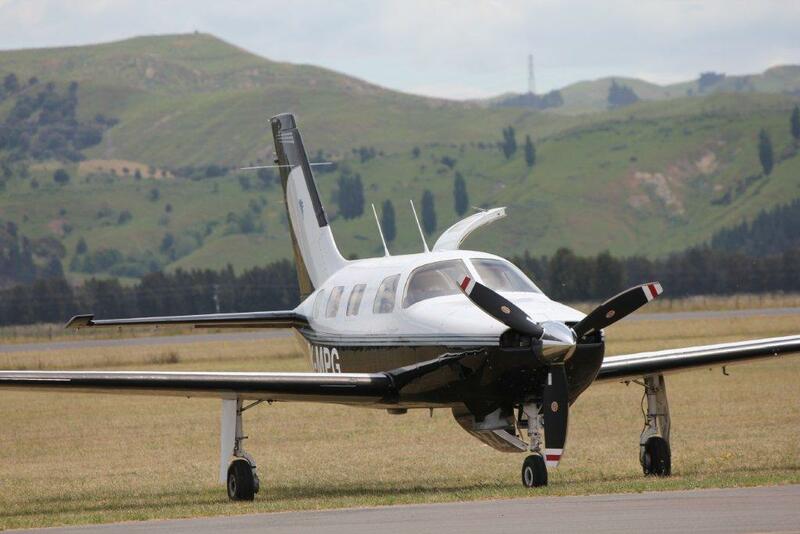 Wanaka is indeed moving towards just a single flight each day. 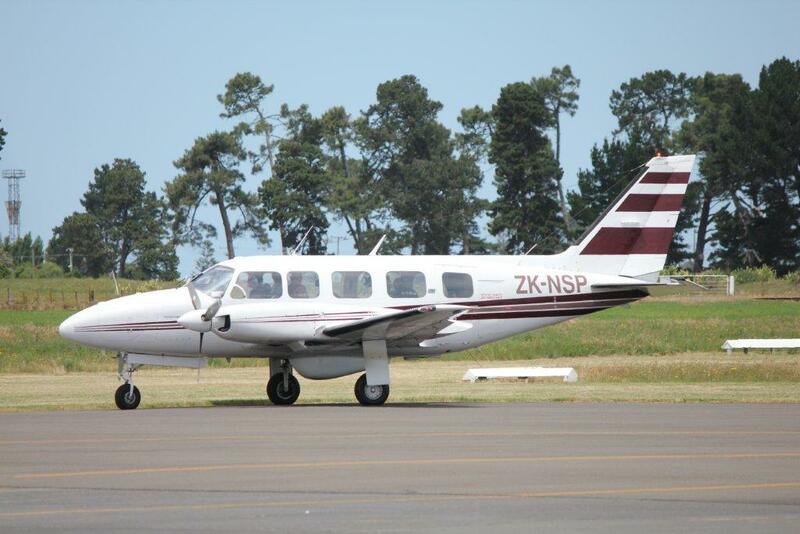 Hokitika remains largely the same, namely, two flights to and from Christchurch on Saturdays, three on Sundays and four on weekdays. The only change is that the Wednesday and Friday morning Q300 flights revert to a Beech 1900, so the Q300s are only doing two flights a week now on Monday mornings and Friday evenings. 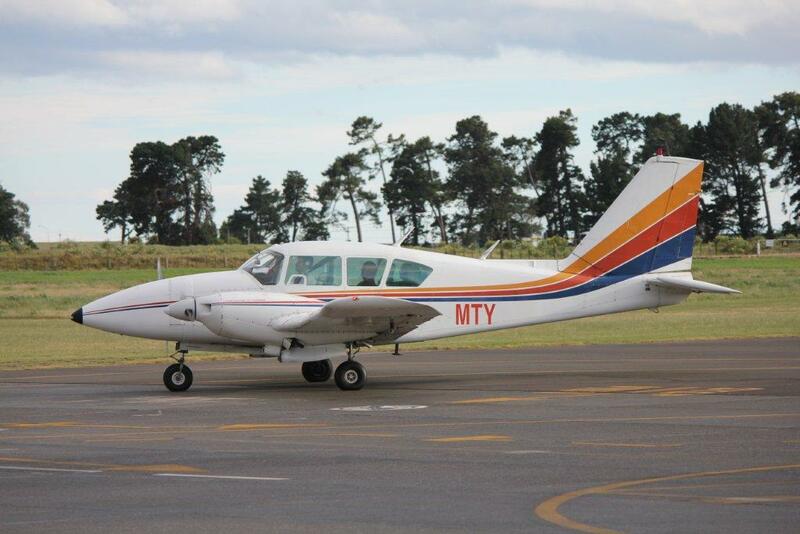 There doesn't seem to be any major changes on other routes... and Masterton still only gets one a day! 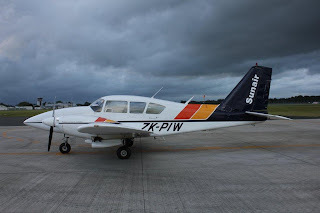 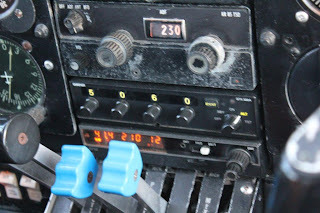 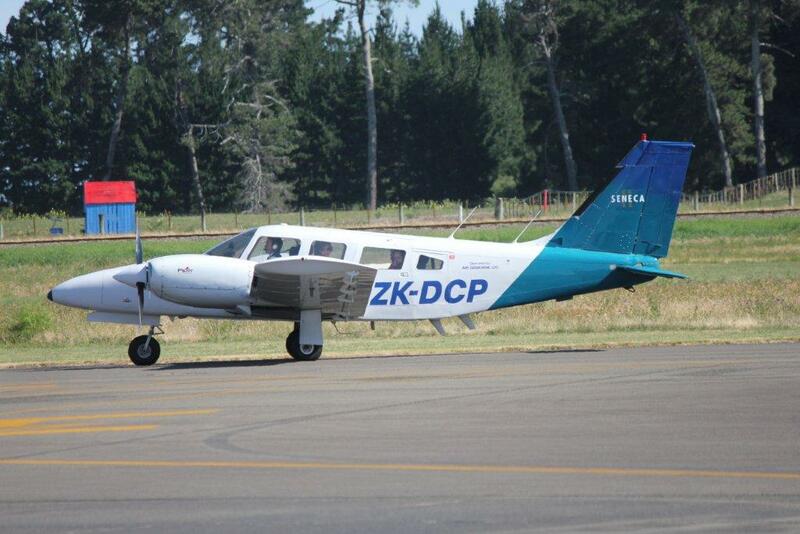 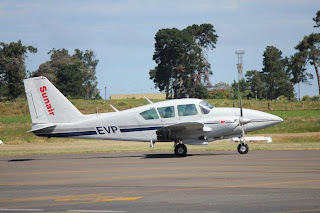 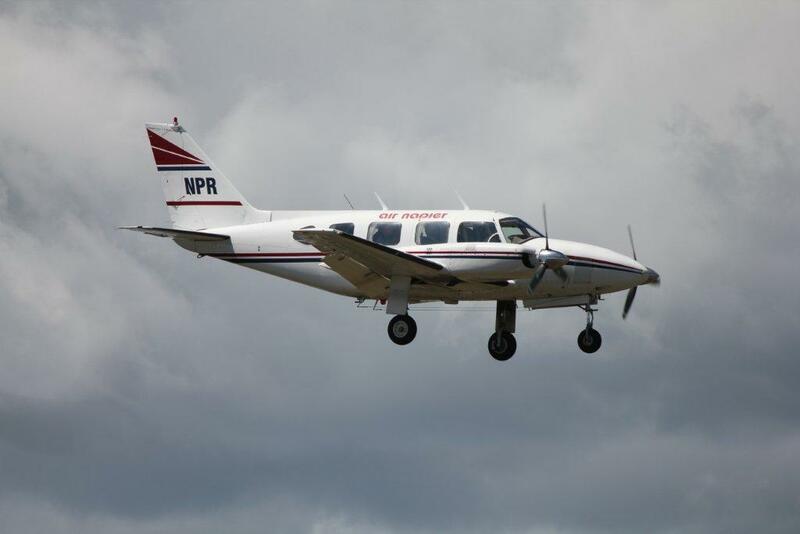 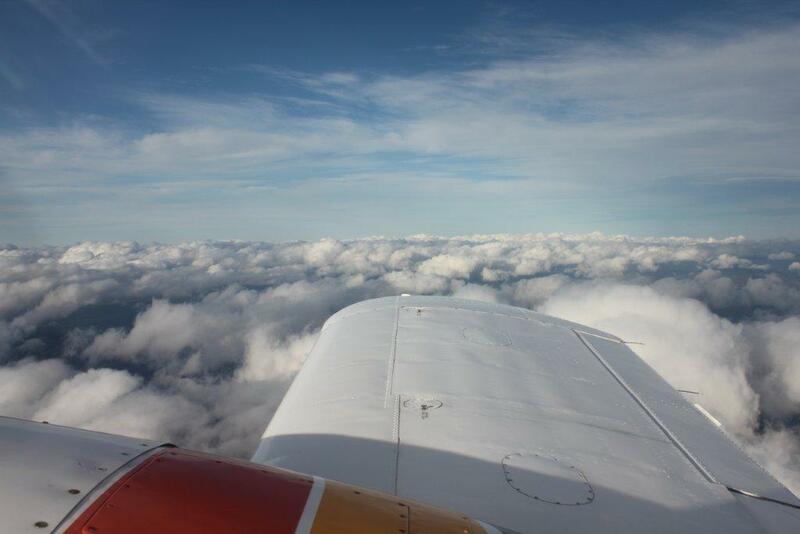 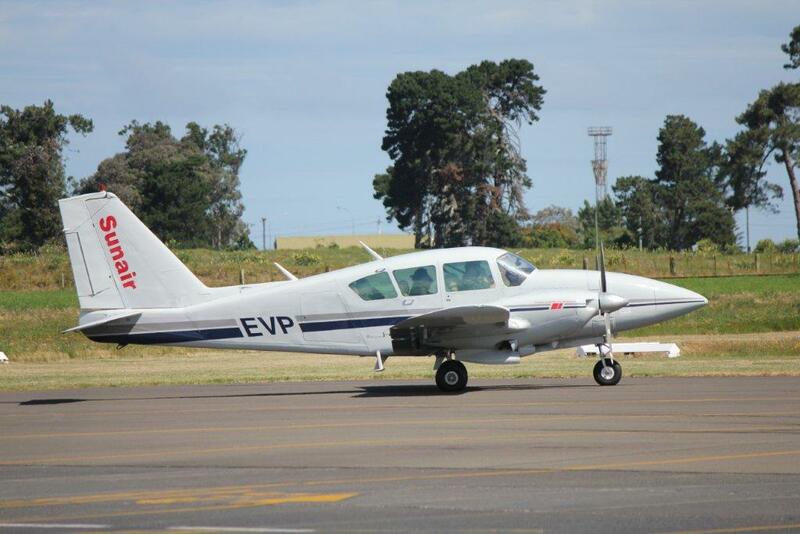 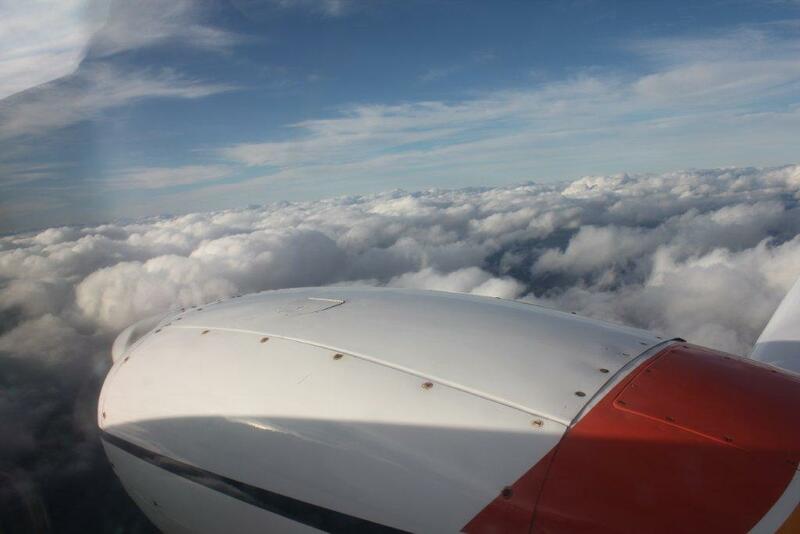 Sunair's Piper Aztec ZK-EVP taxis on the way to Rotorua... first photo of EVP in this scheme for me. 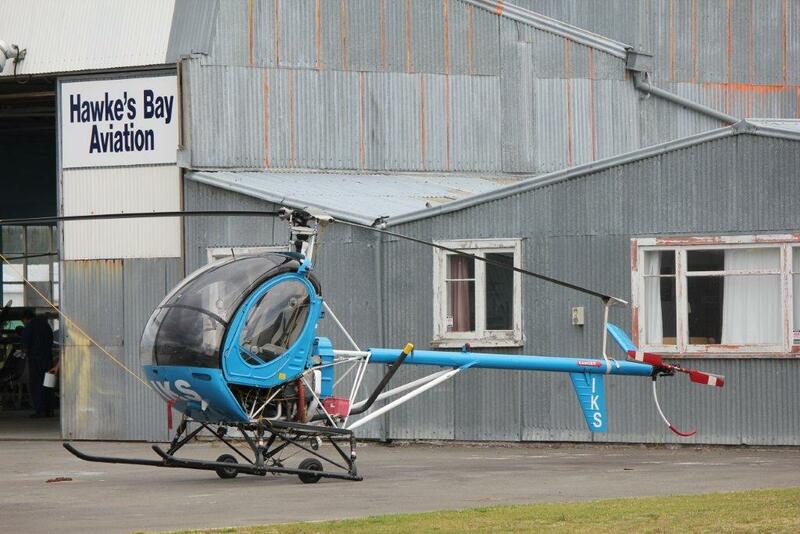 Photo taken at Gisborne on 24 November 2011 by S Lowe. 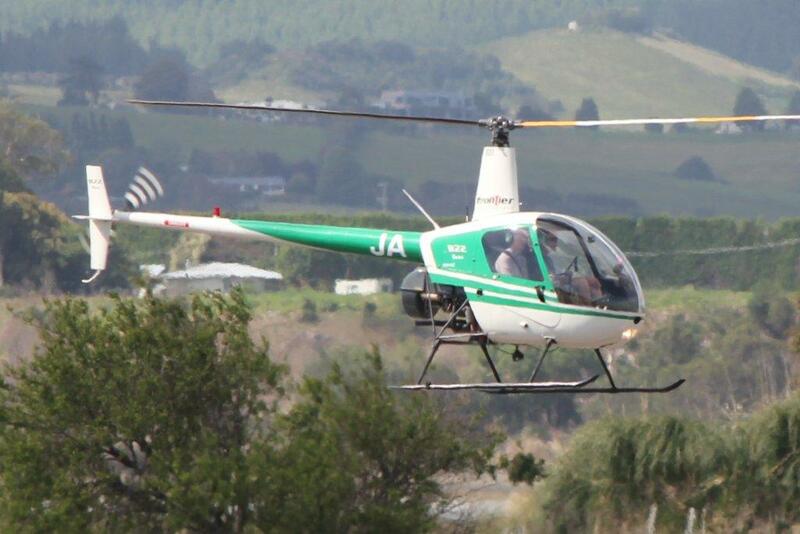 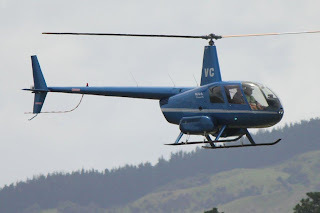 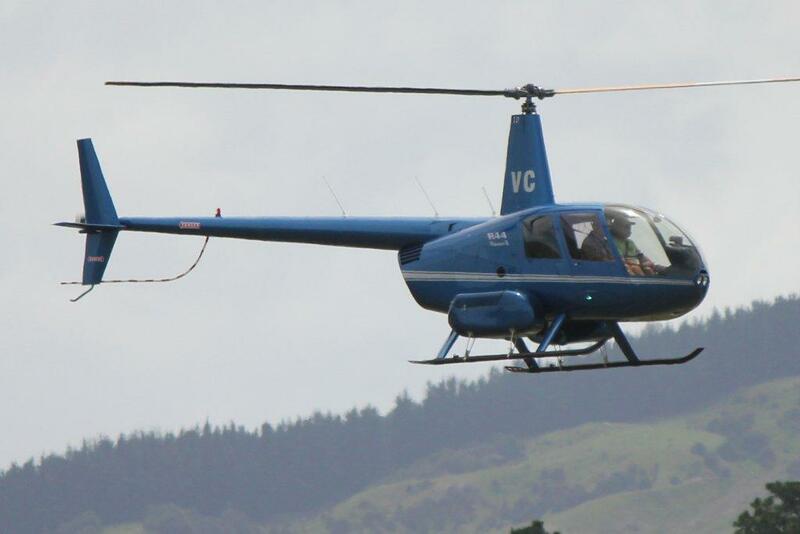 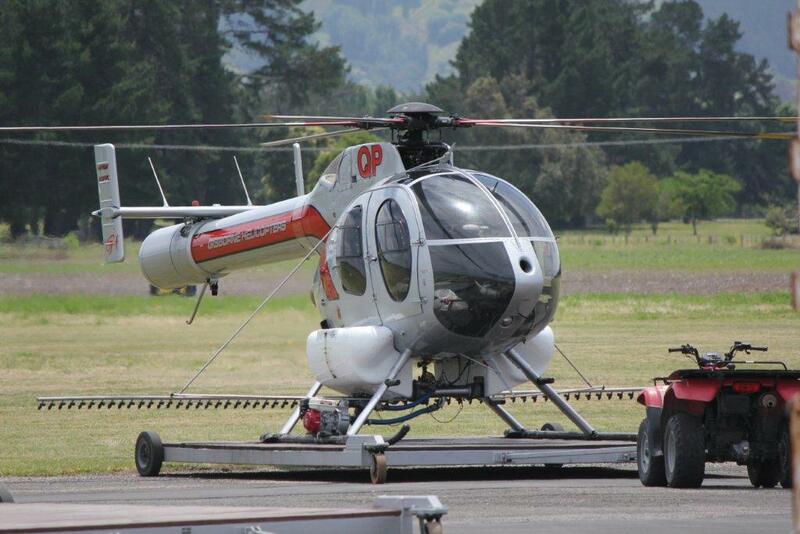 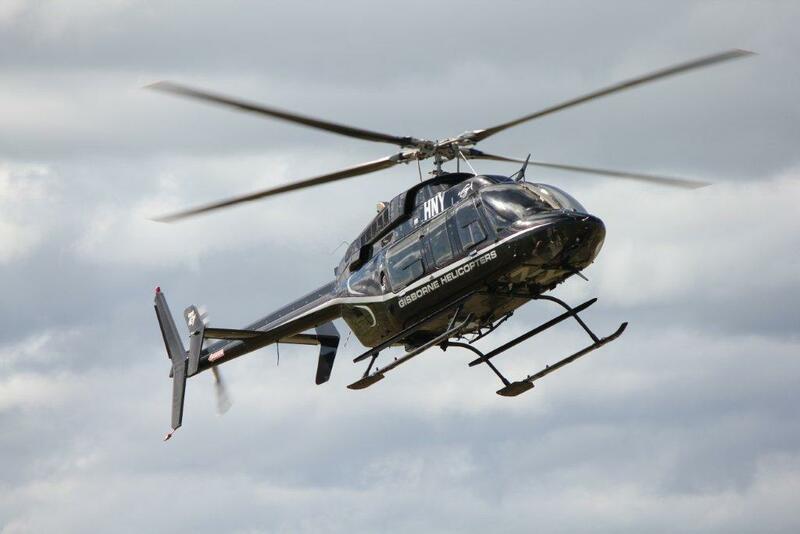 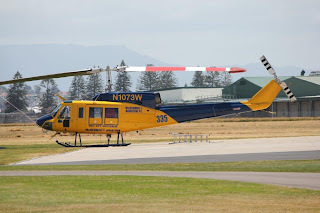 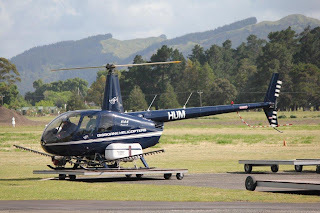 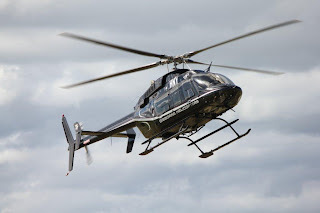 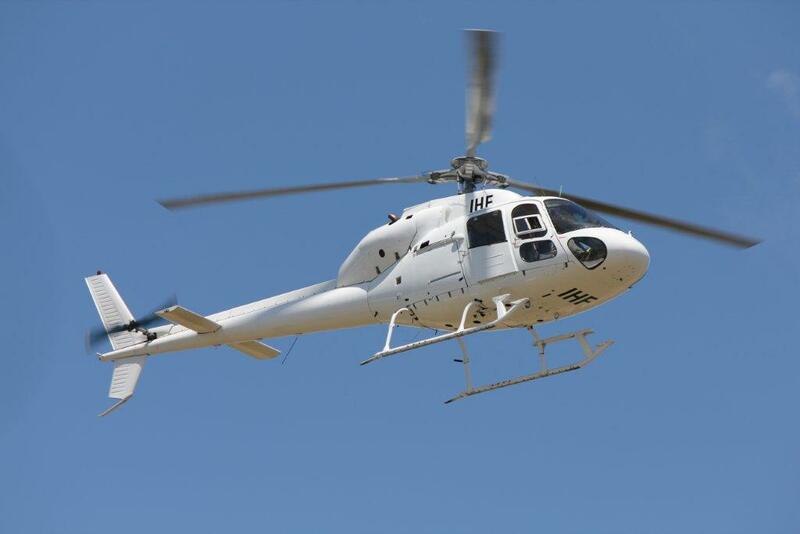 Gisborne Helicopters' Bell 407 arriving home to Gisborne on 24 November 2011 by S Lowe. 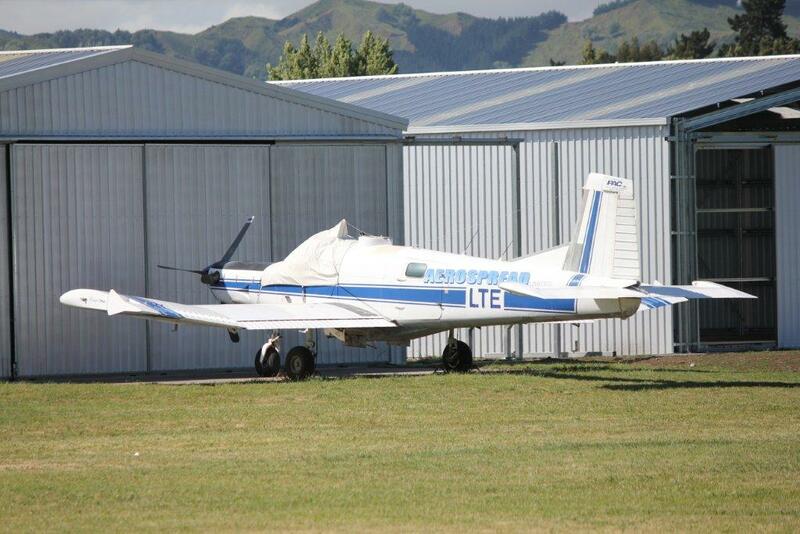 Not moving anywhere was Aerospread's Cresco ZK-LTE. 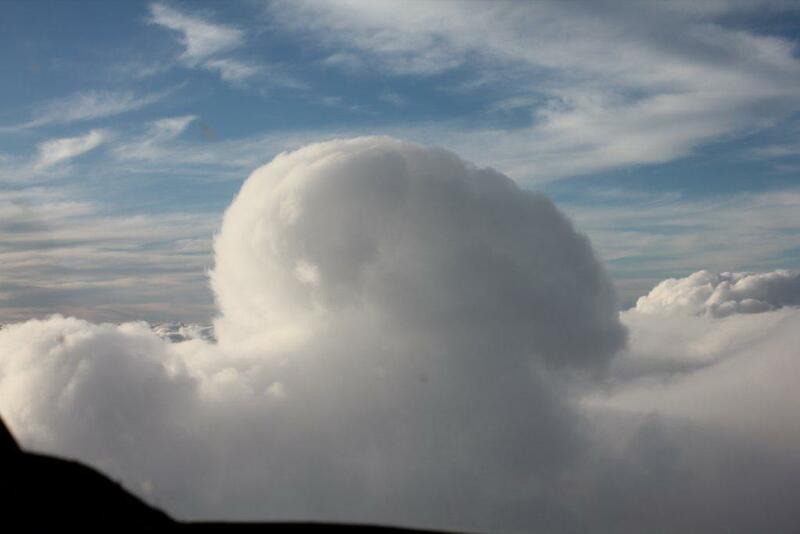 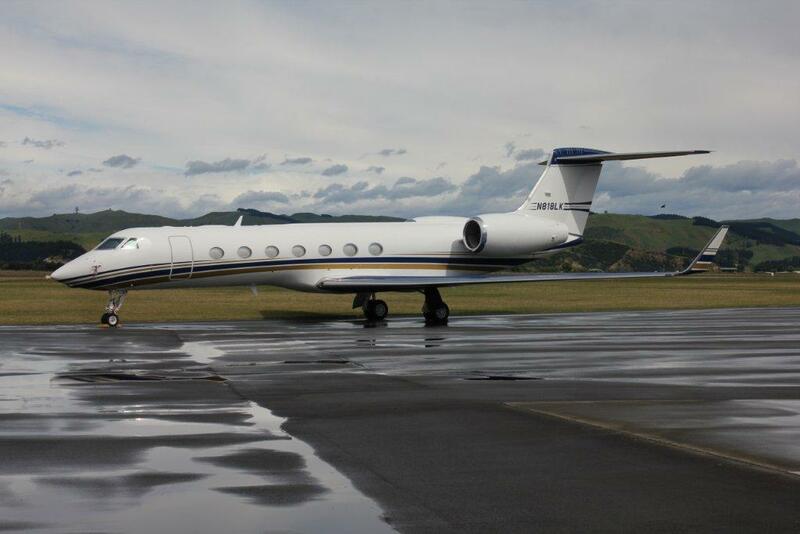 Taken at Gisborne on 24 November 2011 by S Lowe. 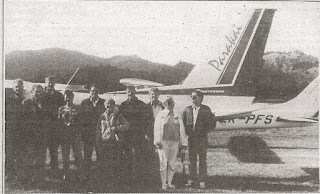 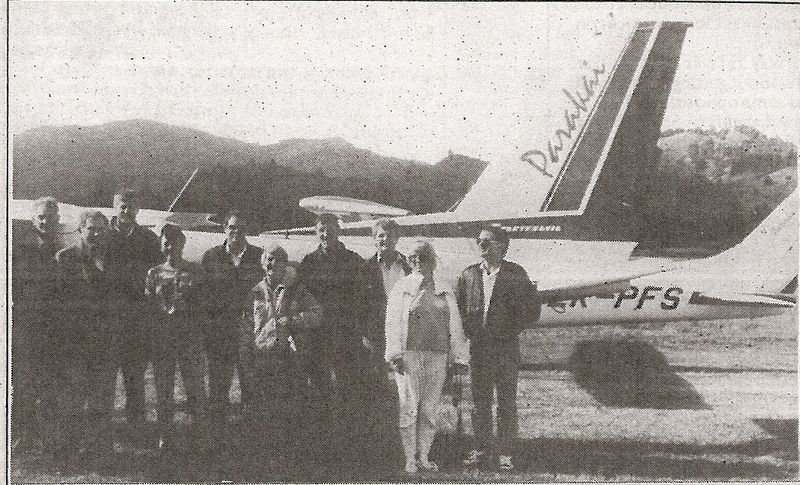 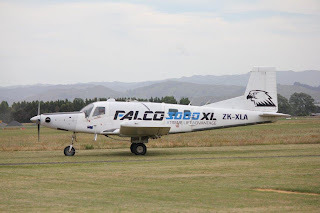 Air Gisborne Seneca taxis to its hangar. 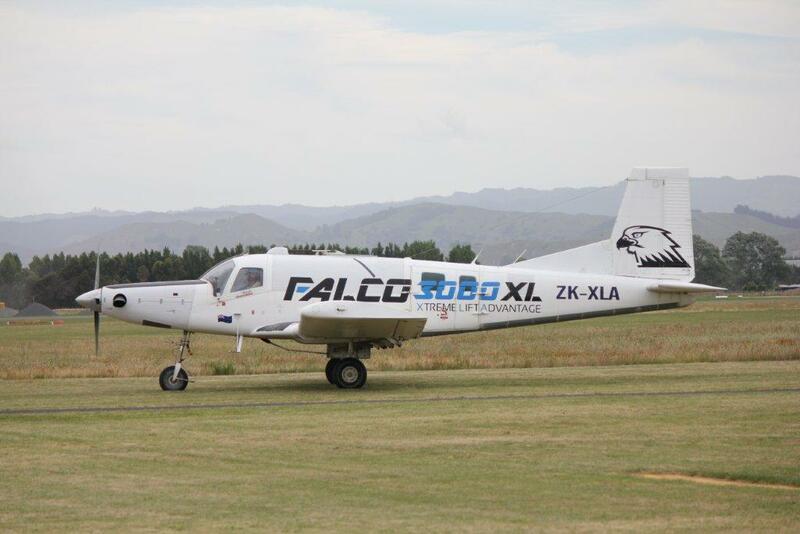 Photo taken at Gisborne on 25 November 2011 by S Lowe. 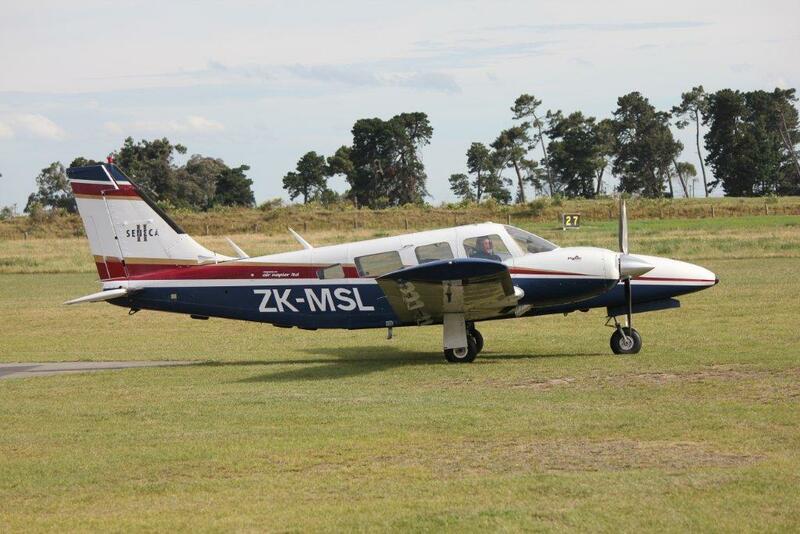 After some training and a refuelling stop Sunair's Aztec ZK-DGS taxis back to its tie-down... 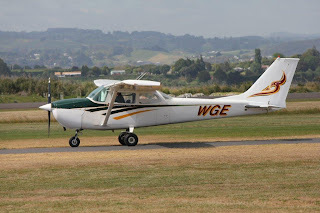 I prefer this scheme to tha on EVP. 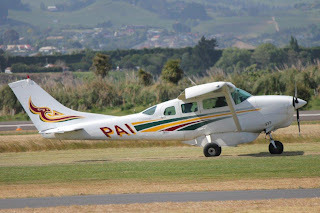 Photo taken at Gisborne on 25 November 2011 by S Lowe. 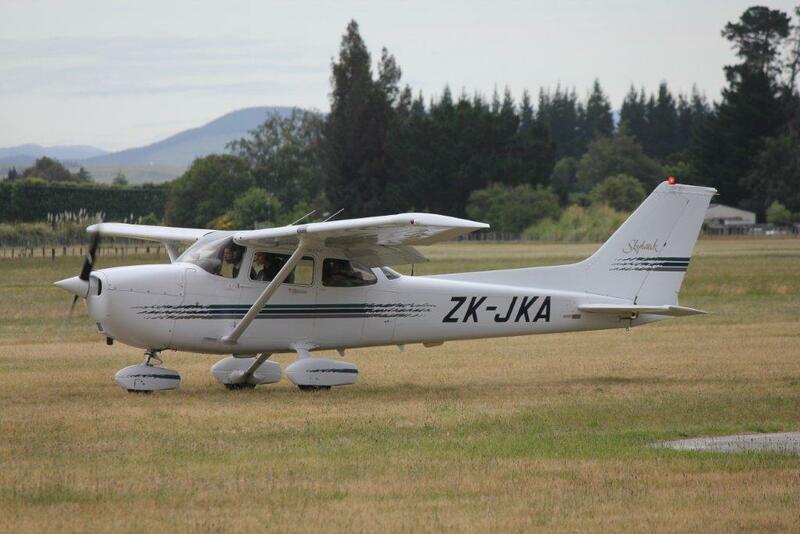 Sunair's Cessna 172 ZK-DKK was also out flying today. 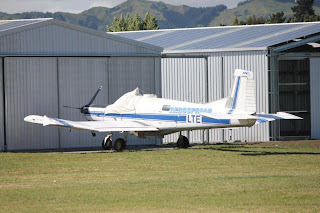 Photo taken at Gisborne on 25 November 2011 by S Lowe. 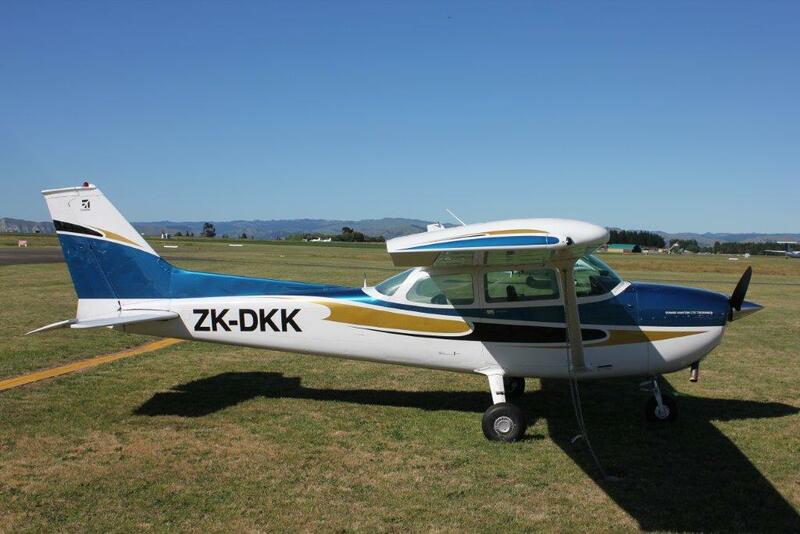 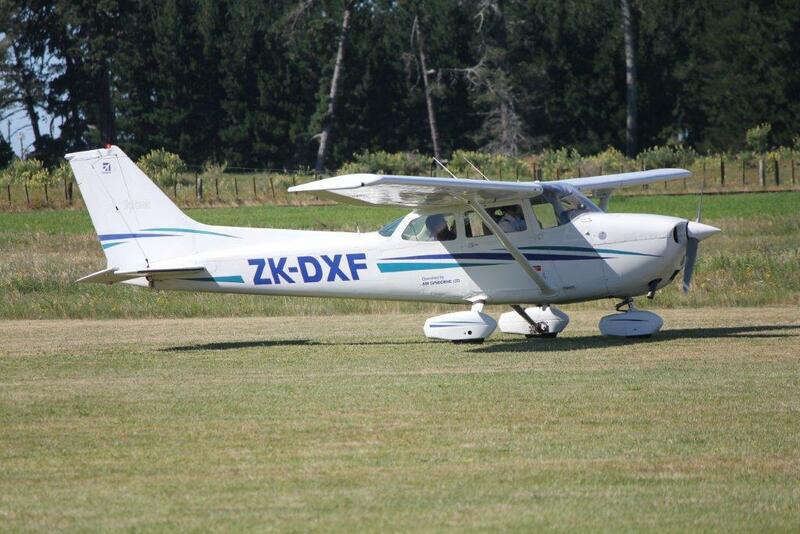 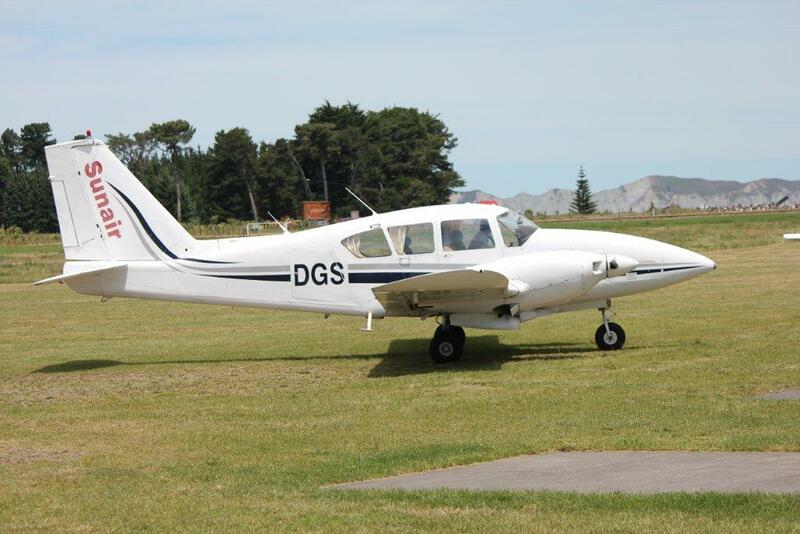 Another 172, ZK-DXF belongs to Air Gisborne. 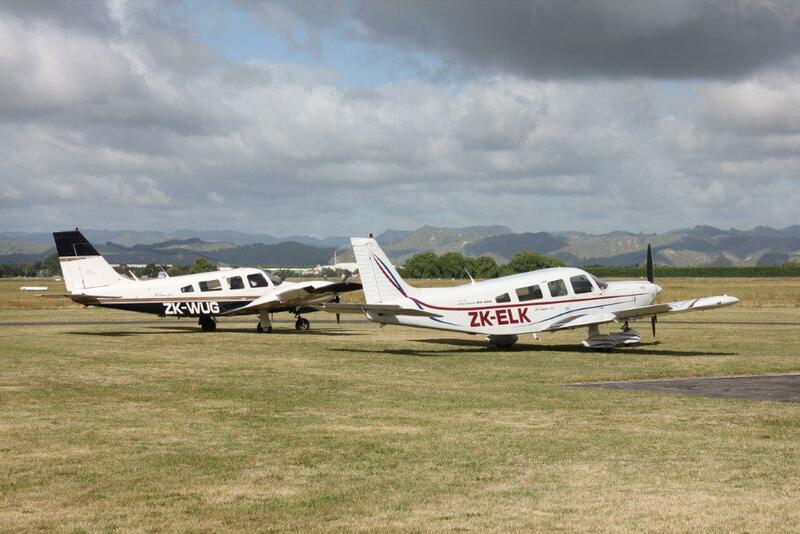 Photo taken at Gisborne on 25 November 2011 by S Lowe. One of the most awkward planes to get a side on photograph of while keeping the titles in... the controls being locked don't help. 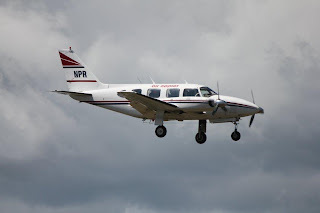 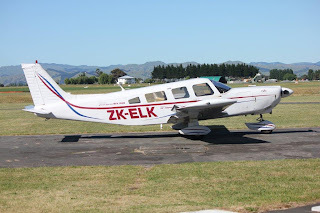 Air Napier's Piper Cherokee 6, ZK-ELK. 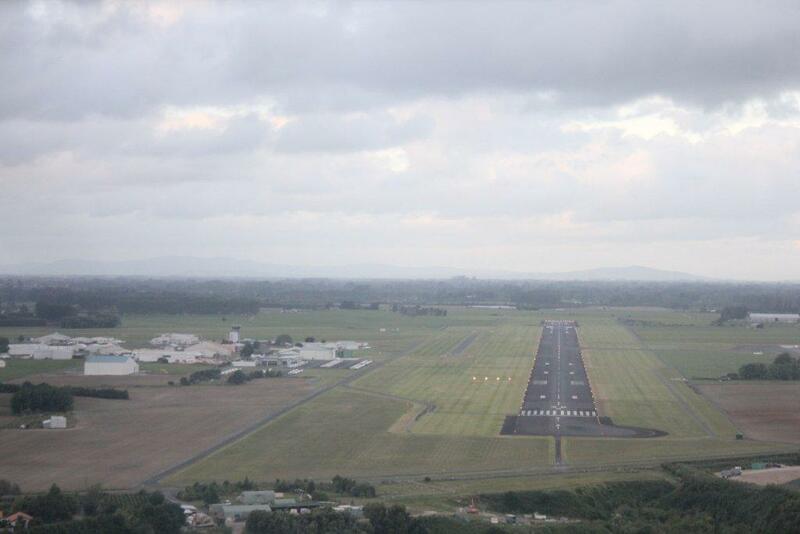 Photo taken at Gisborne on 25 November 2011 by S Lowe. Another of Air Gisborne's fleet, Grumman American AA-5A Traveler. Photo taken at Gisborne on 25 November 2011 by S Lowe. 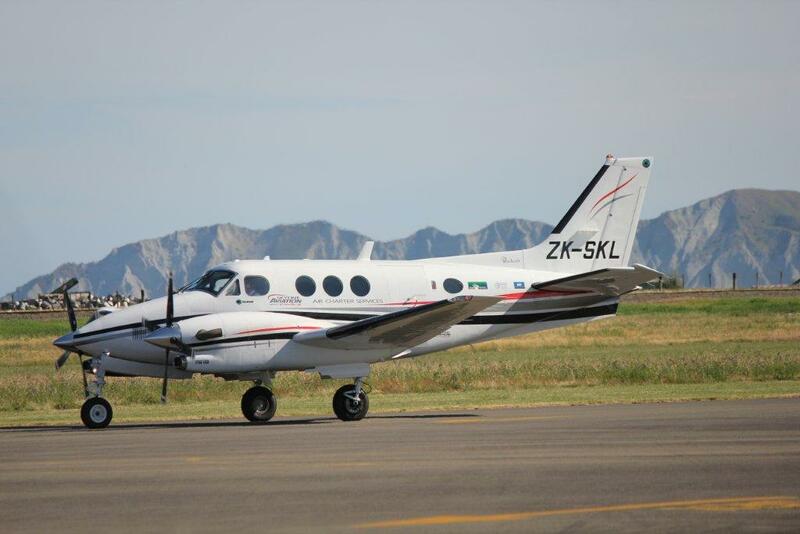 Skyline Aviation's Beech C90A King Air at Gisborne on 25 November 2011 by S Lowe. 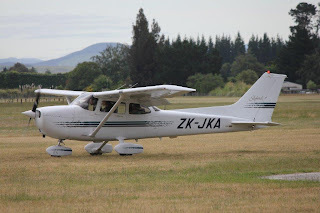 One of projects of my NZ airline madness is to fly into every Air New Zealand destination on Air NZ (WHK, GIS, WKA and MON to go) and to fly on each of the smaller third level airlines. 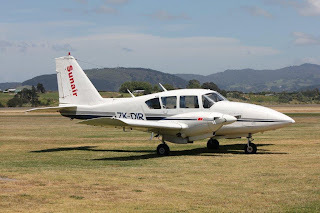 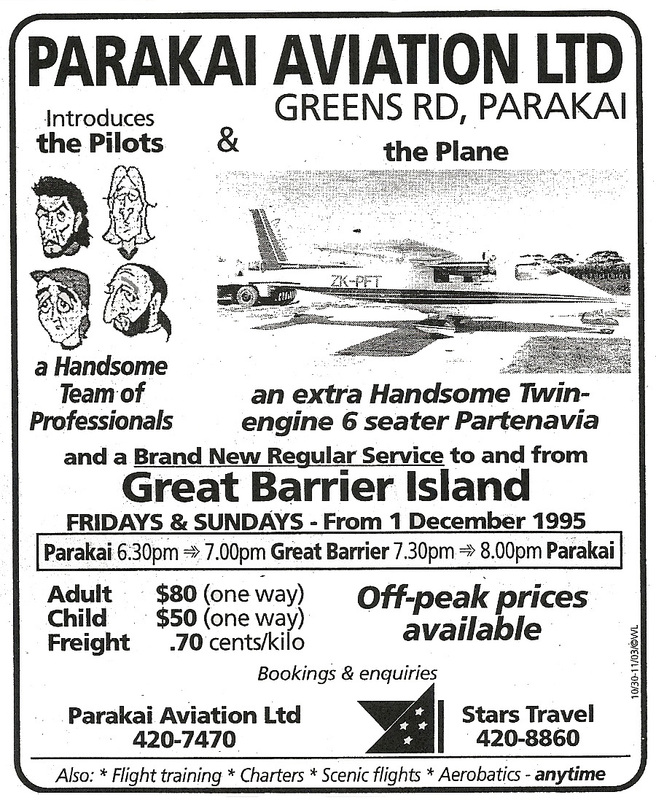 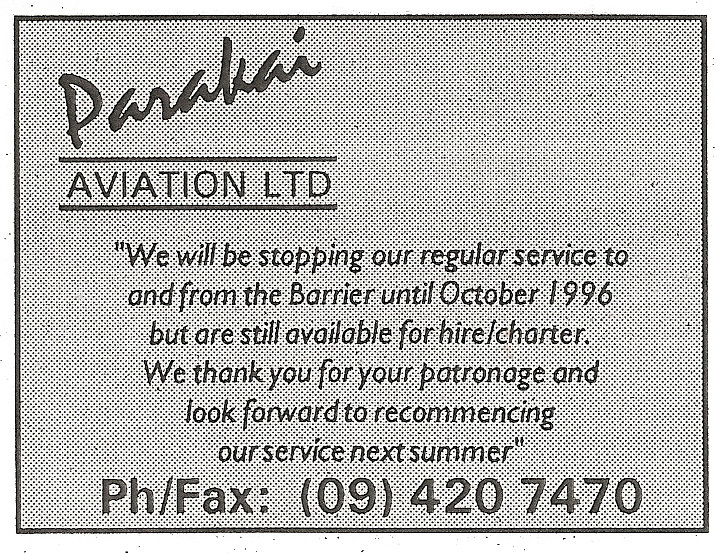 Last night it was Sunair's turn and I booked on their Napier-Paraparaumu service. 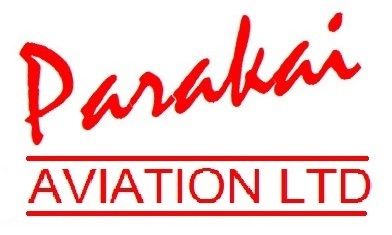 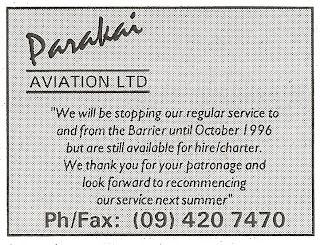 This service is mainly a courier flight but also carries passengers on demand. As I awaited for the flight at Napier's terminal I heard a woman telling someone that if she wanted to fly to from Napier to Rotorua she would have to fly via Auckalnd. 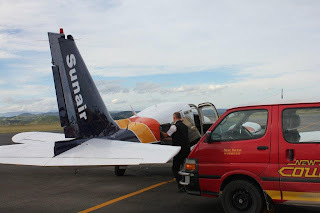 So much for the Sunair signage not too many metres away. 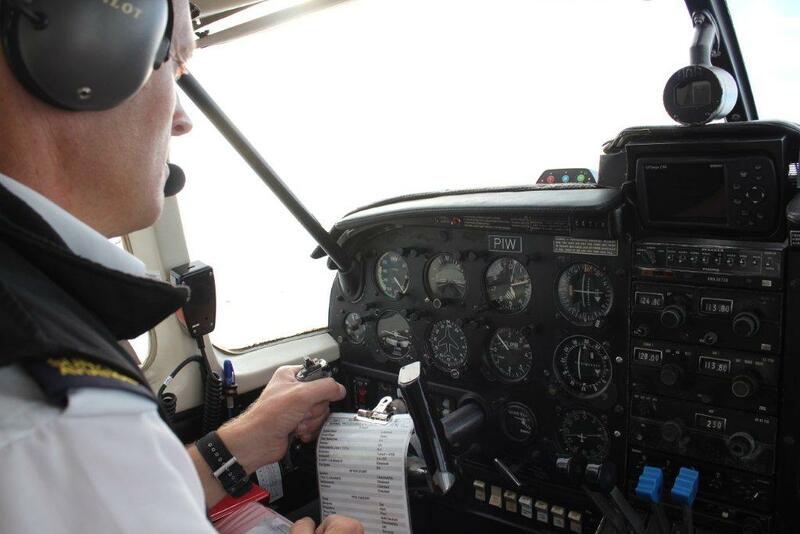 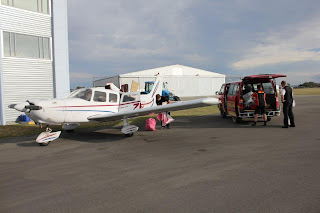 When the flight arrived from Gisborne my pilot, Dion Currie, told me the flight was going to Hamilton due to the gales lashing the lower North Island. 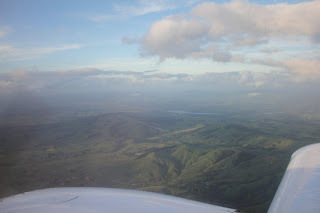 As I was going for the ride I didn't mind where we went. 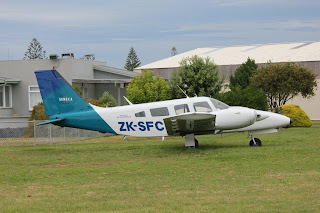 Ride for the night, Piper Aztec ZK-PIW at Hamilton on 23 November 2011, as the front moves in. 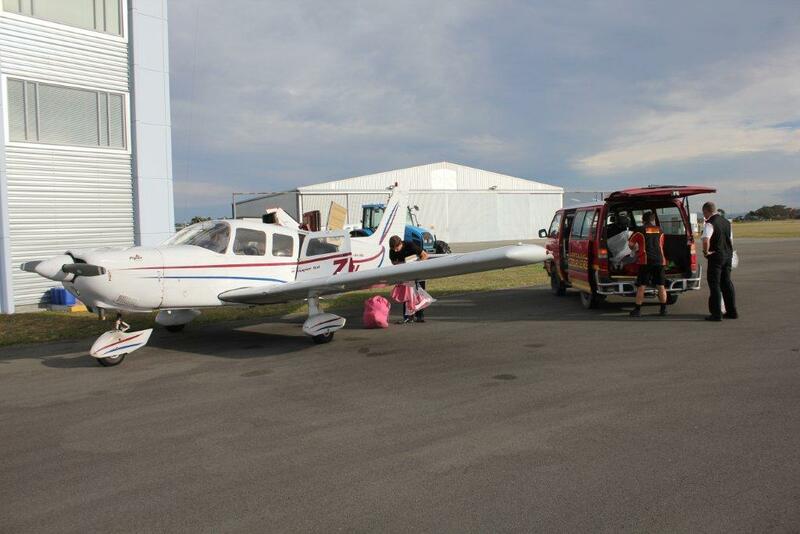 The courier bags unloaded we were quickly under way. 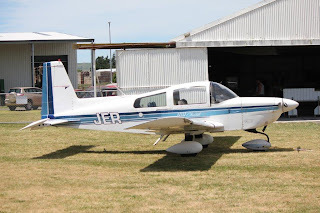 With a flight time off 1 hour 5 coming to Hamilton punching into the westerlies, the flight home was sure to faster... punching along at a ground speed of 210 knots... AZJET! 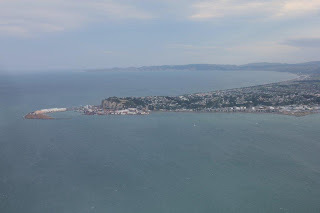 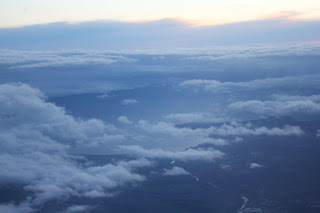 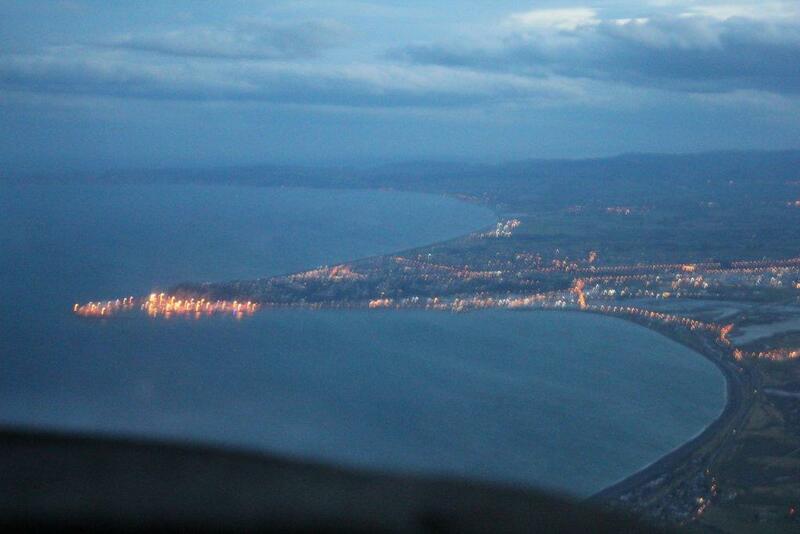 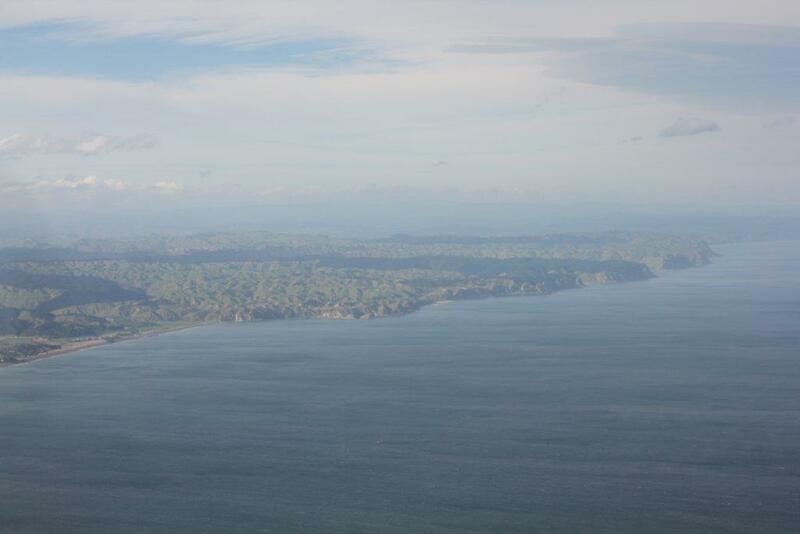 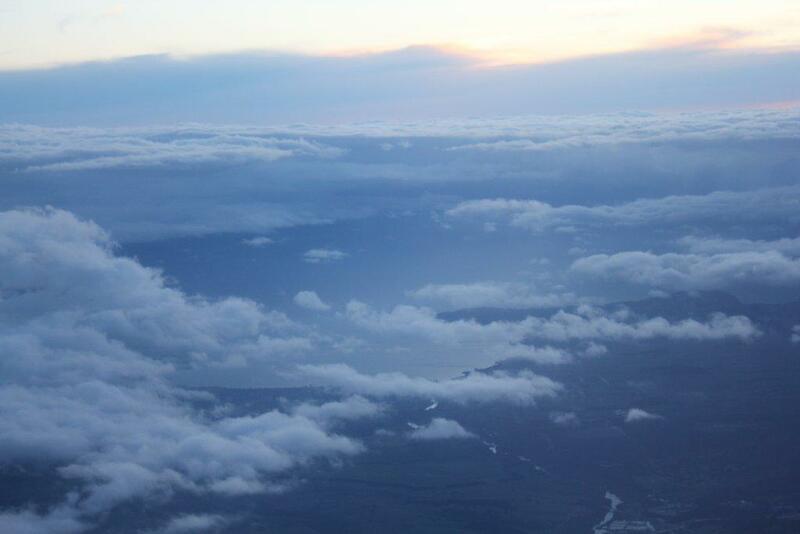 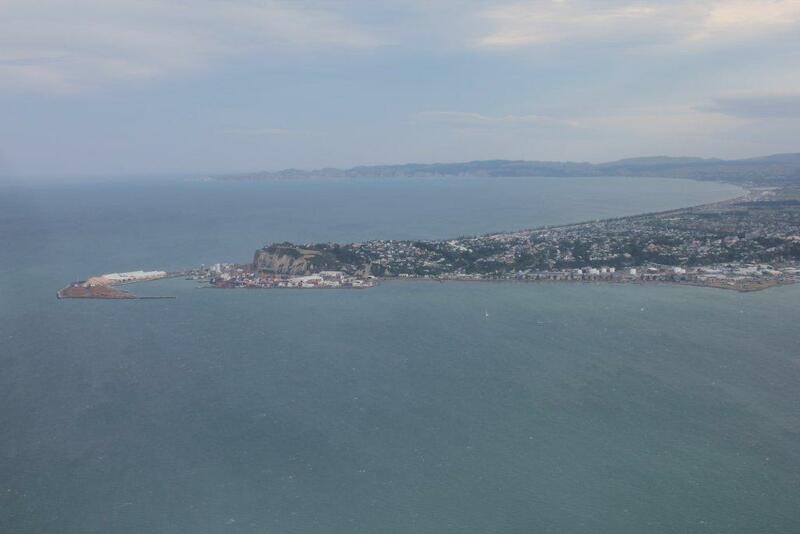 A glimpse of Lake Taupo above and a fuzzy shot of Napier as we bounced around in the westerly letting down for Napier. Thanks to Marion and Dion of Sunair for a great evening. 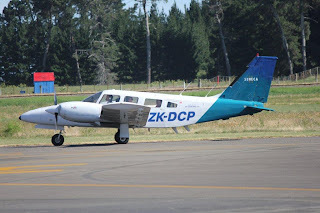 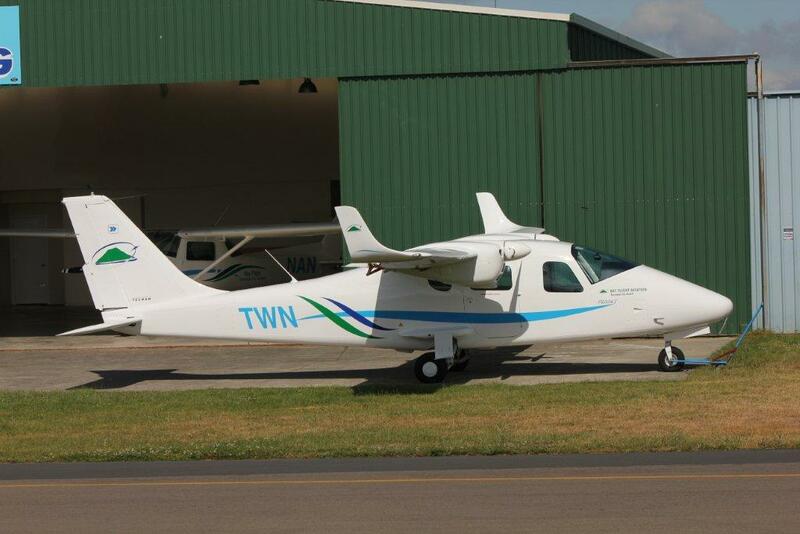 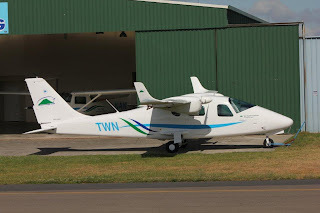 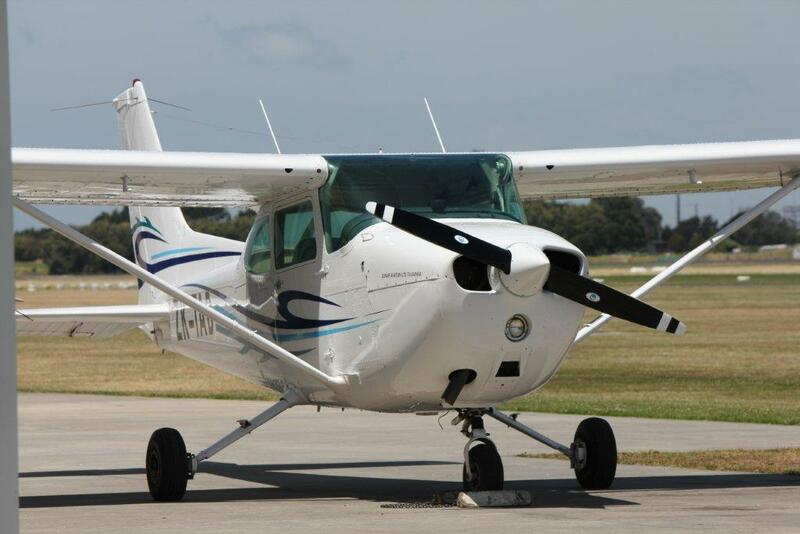 The aircraft I was hoping to see the most at Bridge Pa was Air Chathams' Cessna﻿ 206 ZK-KAI all ready to fly home... 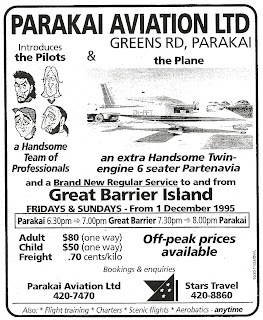 Unfortunately it wasn't. 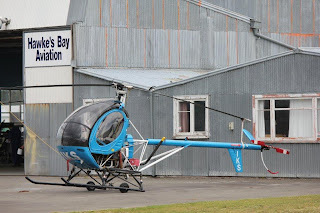 I caught a glimpse of it in a hangar at Hawkes Bay Aviation. Piper Malibu ZK-MPG wasn't very considerate in the way he parked.